Earlier OnePlus posted on Facebook that they will have an important announcement on April 20, 2015. Most of the people was expecting the OnePlus 2 or the cheaper model which OnePlus will be announcing this year. 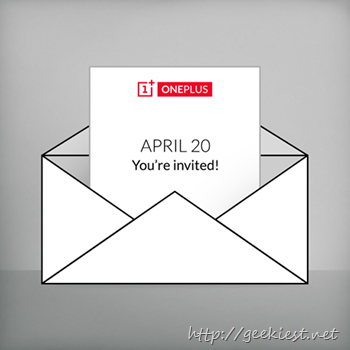 Today on April 20, 2015 OnePlus announced the farewell to invitation system. Now if you want to buy an OnePlus One you will not have to have an invitation, just visit the websites and buy it if it is in stock. This is applicable globally. This week marks a very special anniversary for OnePlus. Exactly one year ago this Wednesday, April 23rd, we announced the OnePlus One to the world. With your fantastic support, engagement and most importantly encouragement, we are now pulling the curtains down on what has been, a fantastic “invitation only” journey for our awesome device. Why the change of heart? Simply put, the demand for our flagship product has never been higher and what better way to celebrate our anniversary than having an “invite” Free model for this superb device. Earlier OnePlus started a open sale on every Tuesday on selected countries, and now it is open sale of OnePlus One on every day and all countries where the phone is available. There can be many reasons for this announcements such as new cheaper Phones like Asus Zenfone 2 (which will be announcing on April 23rd in India, Mi 4i, Lenovo A6000 plus etc.) which you can buy without any invitations. OnePlus will be announcing the next version of their flagship phone soon. etc. For just 24 hours, we’re offering a 75% discount on OnePlus Flip Covers and Premium Screen Protectors. Additionally, Bamboo Style Swap covers will now be available without an invite (while supplies last). Please note that these promotions are only valid in the following regions: USA/Canada, the European Union, Hong Kong, and Taiwan. Oneplus also inform that when OnePlus 2 will be launched initially it will be with invites. What you think about it ? share with us.